Katie Stagliano (second from left) and her friends pick fresh vegetables. 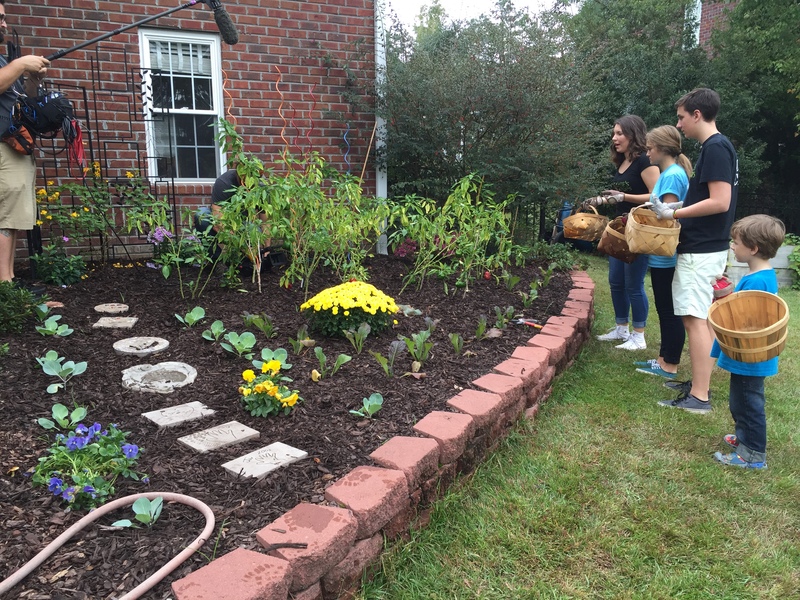 On November 5th, our Charlotte crew shot a segment for ABC’s The Chew, a daytime show that explores life through food. 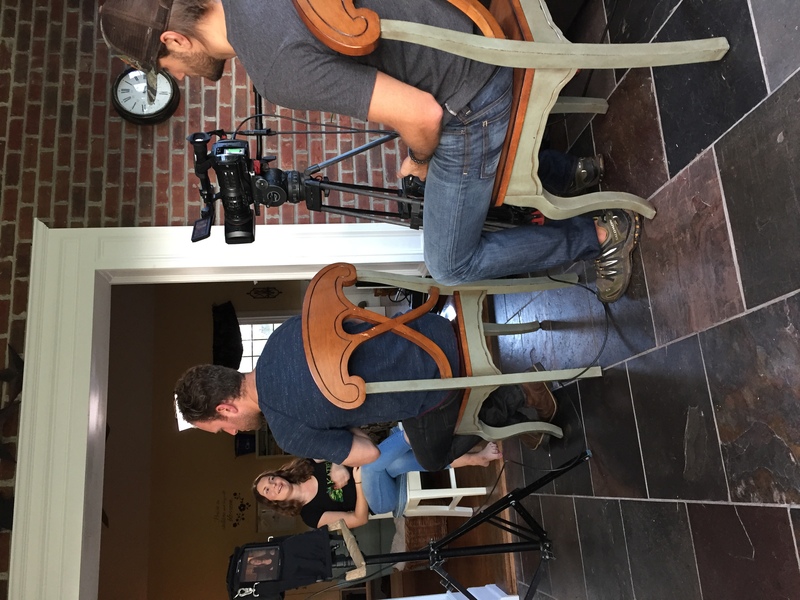 The shoot was in Summerville, SC with Katie Stagliano, the youngest Clinton Global Citizen Award winner ever. The award was established by Bill Clinton in 2007 and honors exceptional individuals who demonstrate global citizenship through their leadership. Stagliano owns and operates a non-profit organization called Katie’s Krops – and she is only 17-years-old! She harvests vegetables from her own, home-grown garden and then hands them out to people in need. 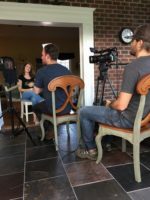 Our Charlotte crew shoots an interview with Katie Stagliano. The non-profit was created almost accidentally. For a school project, Stagliano planted a cabbage seed which turned out to weigh 40lbs! She then decided to donate the cabbage to the local soup kitchen which helped feed 275 people. Thus began to idea to plant her own garden. 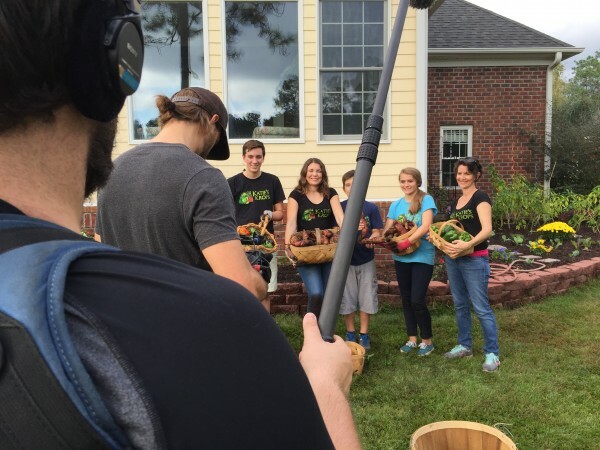 During the shoot, Stagliano and her friends were picking “krops” and the sweet potatoes were huge! People from all around the community kept stopping by for some fresh vegetables. One woman that stopped by was a Holocaust survivor. An entire basket of zucchini fell over and spilled into the parking lot as the Low Country Food Truck was setting up produce – whoops! Thankfully, no injuries resulted from the zucchini spill.